Seven’s first week of summer includes double episodes of Home and Away and Quantico, season finals of How To Get Away With Murder, The Blacklist and Heroes Reborn plus first-run eps of Sunday Night, Grey’s Anatomy, What Really Happens in Thailand, Aussie Barbecue Heroes and more. Surprisingly, the Victorian State Schools Spectacular will go head to head with the NSW Schools Spectacular on Nine -despite networks previously vowing they would not pit similar shows against one another. Nothing here on 7 interests me. Just hope the ABC and SBS have something decent to watch. At least 9 have the cricket and soon the BBL will be on TEN. How far away is Agents of Shield? Or has it been ‘onsold’ again? 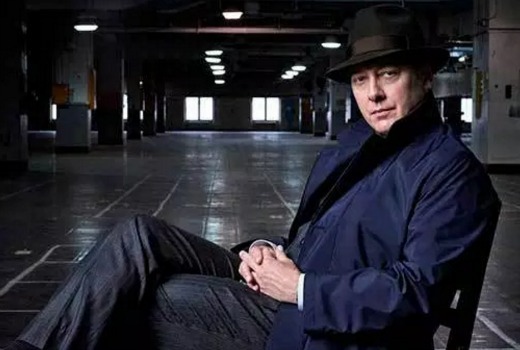 Best guess it’ll probably replace either The Blacklist or Heroes Reborn (or both) in the second week of non-ratings – last we heard 7 still got it. Well I for one love h&a!! So cannot wait for all these double eps. 🙂 Loving Erika Heynatz. 8 eps of home and away in one week. The scheduling of extra episodes is one of the reasons I gave up home and away months ago. 7 have ruined home and away. I’d list “The Big Bang Theory” as (rpt) or (old). Be curious to see what seven do with Home and Away, its become a bit of a drag on their prime time schedule. It either needs a revamp or to go elsewhere. It might have worked at 5.30, but the chase seems to have solved Seven’s 5.30 problem for the moment. Can’t see 7 shifting something that draws 817,000 or so consistently. Replace it with what? More Big Bang Theory? Move to where? Drama quota points? On a non-XFactor night – last Wed e.g. – 7 dropped by 93,000 at 7:30. Similar drop on Thurs. Reasons I gave up home and away months ago. 1. Years of storylines focused on one family and when most of that family left the show they still had to make it all about that family. 2. The intense focus on that family meant that some of the other characters were bit players. When they tried to lessen the focus on that family it really highlighted that some of the other characters just weren’t up being the focus. 3. A certain ex prison friend of the main family and his sister (a google search says she is no longer in the show) were unwatchable. The storyline that turned me off were seeing 2 woman lusting after the scruffy ex prison friend lived in a caravan and had nothing going for him. But he was oh so important because he was a mate of the head of the most important family in Summer Bay. 4. Double and Triple episodes. Yep the Braxton thing is soo boring now but I am loving Charlotte, think Erika plays her really well. The Charlotte story line is very similar to Angie Russel story line of about 12 years ago…..
They’ve moved greys to Sunday at 11pm. Don’t ask me why? It was airing late on Monday so what’s the difference being late on Sunday. 7 just likes frustrating viewers. I still bother with H&A and understand your issues. 7 can’t program dramas at all!!! Is that new Goldbergs? I thought Seven were playing repeats, but since it’s non-ratings period maybe it’s back! As 80s nerds my husband and I got a massive kick out of that show. Speaking of programs I hoped might be back for non-ratings, any word on Once Upon a Time? With the US now two seasons ahead my husband is kind of getting concerned we’re not going to get the rest of it! Seven announced Goldbergs S2 for Summer. I don’t ever recall Home and Away going into the non ratings period, and also airing 2 weeks of episodes in 1 week….. Interesting…. Home and Away has aired in non ratings before. I’m not sure if Home and Away has gotten to 8 episodes but it has definitely got to 7 before. Home & Away from the beginning has started before ratings and ended after ratings for most of its years on air. Same with Neighbours.